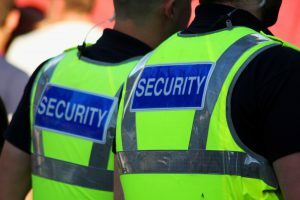 Planning major events or having trouble at your business means you may need to access full-service security services. When you get a no answer from the local City of Gilroy, CA, government or the police, we can provide security services. In addition to business security, we also have independent guards that can work as a security patrol team. 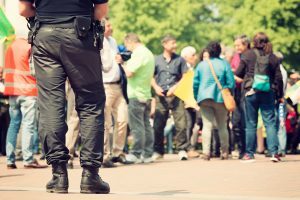 Read below to learn more about the benefits of private security for property owners and event planners. When you own an upscale retail business, every detail needs to be professional, including security. In these cases, it is not only theft-prevention that is crucial, but the training of the security team. For this reason, when legality could be an issue, we provide a business security team familiar with retail. This includes having body cameras that ensures everyone is following the rules. The cameras also provide data you need to win your case in court. When everyone is in the party spirit, it helps to have professional security services. This is especially true if there will be a club or festival environment. In addition to helping protect you legally with body cameras, the security team provides other services. For instance, security guards can work the entryways as well as ensuring fire codes are closely followed. If guests need assistance or removal, guards with professional skills keep your event insurance rates low. In another example, a festival-goer may have a health crisis that needs professional supervision. Club-goers that know professionals will check everyone at the door for weapons are more likely to attend. High-profile people can draw a huge crowd to your event, but sometimes super-fans or demonstrators can be more unruly than expected. When you are coordinating events with high-profile people, it pays to have private security. In addition to providing security for your building, pros know how to work with other celebrity and high-profile security teams. Unfortunately, depending on the type of well-known person, up to four independent security teams might need to coordinate. This includes before, during and after the event. In addition to door security, crowd security and transport, other specific types of security coordinating might be involved. In other words, when it comes to choosing private guards, full-service needs to be a factor. With the right team, the event is a true pleasure for everyone involved with minimal incidents. Sadly, many houses of worship are under attack because of hate crimes, and even private citizens could use professional backup. A primary goal can be providing security at entryways before weekly or daily services. A pro security patrol team can also keep an eye on a religious property overnight. Naturally, a full-service private team can make everyone feel at ease, and can provide the police with critical, third-party data. In the event something goes wrong, our team can testify in court about any crimes committed against your organization. We can also improve security systems and strategies to help keep your costs for private guards low. If you have been let down by security services in the past or have no idea where to get started, let Kysmet Security & Patrol help. We service the City of Gilroy, CA, and we are happy to answer any questions you have. From weddings to events to private homes, we are the first place to call. We service celebrities or high-profile people looking to visit for the day. We also help businesses having bad luck with theft to get a team to suit your specific needs. To start professional security guards and other services for your residence or business, please call us today.